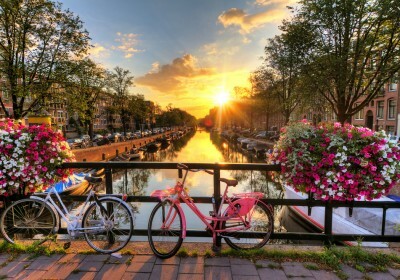 Amsterdam Cruise & Stay from just £32 each !! Whoaa guys lets go to Amsterdam !! Check out the great deals over at DFDS Seaways where you can grab a 2 night mini cruise with an overnight stay in Amsterdam for as little as £32 each !! You can book this deal for 2 x people at £49 each or 4 x people at £32 each. Explore Amsterdam as it blooms this spring and enjoy the fantastic activities available. Visit the Botanical Gardens, a 17th century medicinal herb garden, for 4000 different plants, or the Tulip Museum for amazing exhibitions. Buy your own bulbs at Bloemenmarkt, or indulge your senses with the Tulip Festival and admire the 1 million bulbs planted across the city. With 4 restaurants, you’ll find just what you fancy onboard, with plenty of kids options, too! Once you’re done eating how about a film in our cinema? Maybe a quick stop at the casino? Perhaps just a drink and some live music in our bars? Take the little ones along to the Kidz’ Club. They’ll tire themselves out with all that’s on offer to ensure you get a good night sleep. Hello do you have any deals sailing from Hull please? Have you go any deals going from Swansea arena, don’t mind traveling but Iv just looked and North Shields is 6hrs drive for us!! Hi…do you sail from Southampton? Is this deal available in June? Any holidays to amsterdam on august?